Wisdom teeth are a common topic as we’re growing up, and one that a dentist will eventually bring up to you as you get older. It’s likely that you’ve known people who have had to have their wisdom teeth removed, or have seen videos online of people coming out of sedation a bit loopy from the work that needed to be done. If you’ve ever taken the time to think about it you, like many people, likely came to wonder one rather poignant thing. “If we have to have them removed, why do we even have them? !” The reason may fascinate you and is a link to our hunter-gatherer roots. Long ago mankind used to eat a much tougher form of sustenance, including woody herbs, raw nuts, and grains. In those days Wisdom Teeth were a necessary part of our anatomy that helps us grind and crush this food into a digestible form. After thousands of generations and a much different diet our need for these teeth has disappeared, but the latent code in our genetics that produces them hasn’t. When someone is born with these genes then wisdom teeth will manifest, and in rare cases there will be more than one set, leading to additional issues. What this means, of course, is that not everyone is born with wisdom teeth. 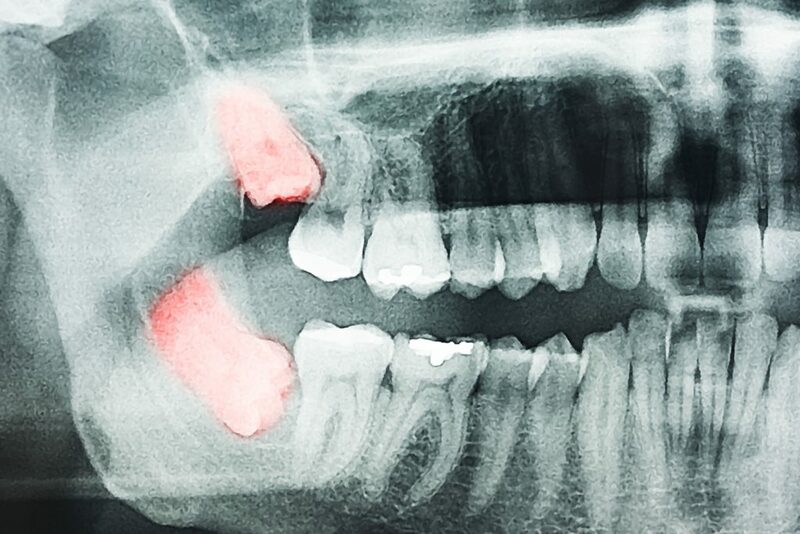 What problems can I experience if I have Wisdom Teeth grow in? In some cases, wisdom teeth will grow without any complications, but the rate of this occurrence is fairly rare. In most cases, the presence of these extra teeth results in overcrowding that can cause extensive damage to the teeth, and at the very least will create significant discomfort in those presenting with wisdom teeth, as well as misaligning already present teeth. • Crowding of the teeth due to wisdom teeth attempting to grow in. If you’re experiencing issues like these it’s time to make an appointment with your dentist. Wisdom teeth can cause serious and long-term damage to your mouth if left untreated, and if they are identified as the source of the issue they’ll immediately begin formulating a plan to help you face it. Is It Always Necessary To Remove Wisdom Teeth? Wisdom teeth don’t always have to be removed, but when conditions like those listed above are being experienced there is typically no alternative. Simply having wisdom teeth does not mean you’re doomed to surgery, it merely means that the condition will have to be carefully monitored to determine if removal will be necessary. Make an appointment with Dr. Pendleton at the Rockdale Smile Center in Rockdale, TX today. Previous Post: Next Time You See Your Dental Hygienist Ask Them These Important Questions!